Red Auerbach wouldn't have liked all of the non-game activity, but I sure did. Rick Barry and Julius Erving were back in Boston, this time ensconced in a much friendlier environment. The BIG3 folks that I spoke to prior to Friday's games were true to their word. Clyde Drexler and Brian Scalabrine both emphatically debunked the mistaken idea held by some that this was a league of old men involved in a casual pick-up game. These guys play hard, and they play to win. This wasn't the old Boston Garden with John Kiley at the organ. You don't get to chat during games. The noise level is through the roof. Brian Scalabrine's team, the Ball Hogs lost to Trilogy 51-45, and Scal did not have the game he was hoping for, scoring two points along with two rebounds and one assist. But the love from the crowd was there in abundance, and the after-game line for his autograph went forever. Nate Robinson's Tri State defeated Killer 3's 51-45, and Nate notched 14 points, five rebounds, two assists, two steals and one 4-point hoop. He and teammate Amar'e Stoudemire are both in great shape. 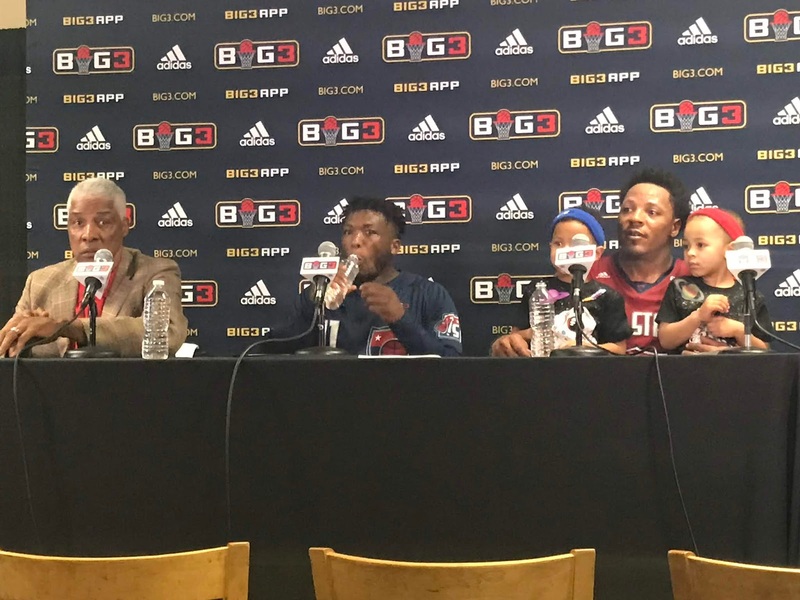 But Tristate's David Hawkins stole the show bringing his two youngsters onto the court and into the after-game press conference. At that conference, Coach Julius Erving commented on coming back to Boston to cheers, and I made sure to let Robinson know that his performance reminded me of his Shrek and Donkey days with the Celtics. The Tri State/Killer 3's game was exciting, and the crowd was into it all the way. 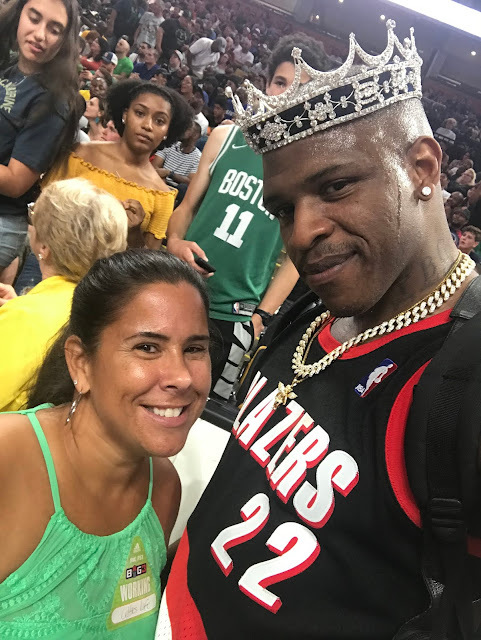 Prior to Friday night, my only exposure to the BIG3 came in the form of video clips, and I was skeptical of what I could expect at TD Garden. It was just plain energizing. Fierce competition - non-stop action - dancers - 4-point shooting contests for fans - open and friendly access to players and coaches - and the best acrobatic, flying, dunking act I have ever seen. For basketball fans with a hatred of loud noise, I recommend viewing the games on Fox, FS1 or Facebook Watch. One of the main pluses of seeing the game live is the star power. Meeting Clyde The Glide Drexler, getting jostled by Metta World Peace (now gone back to Ron Artest) in the tunnel, avoiding Chris Birdman Anderson's arms as he did his pre-game jumping jacks, sharing space with a trim Rick Barry and a not-so-trim Rick McNasty Mahorn - it was all great. It is ironic that Rick threw the word nasty right back in his comment to the Boston Globe's Owen Pence. Though 30 odd years removed from those massive playoff bouts with the Celtics, (Rick) Mahorn still retains a distinct sensory memory of walking the grounds. By the way, I attended the circus at the Old Garden in the early 50's and watched as a monkey ran amok in the crowd. I realized much later that it was not part of the circus and have not liked monkeys ever since. The BIG3 had a great turnout at TD Garden, and it looked like roughly a 90%-capacity crowd. The League played in Toronto, Canada last week and is planning on going international. 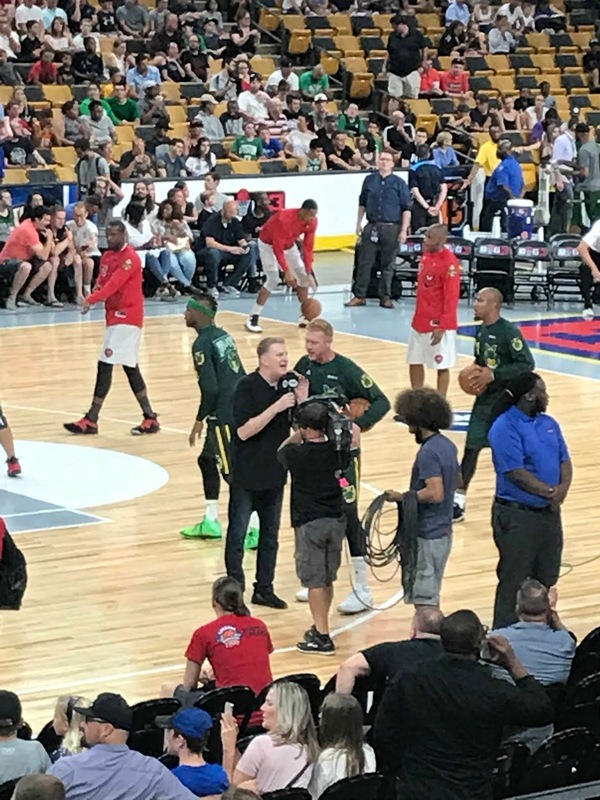 One of the individuals behind the BIG3's success is Alex Jacobs of Sunshine Sachs, and I had the pleasure of observing his professional, focused and courteous promotion of the BIG3 games in Boston. Looks like the BIG3 is off and running.